UNRWA spokesman sends scathing retort to Bedein via Arutz Sheva; Bedein does not let the ink on his claims dry for long. A heated argument is going on via Arutz Sheva between Christopher Gunness, UNRWA (United Nations Relief and Works Agency created especially for the Arab "refugees") spokesman in Israel, and David Bedein, head of the Israel Resource News Agency, Center for Near East Policy Research in Jerusalem, about whether UNRWA bears responsibility for programs that promote destroying Israel at UNRWA-aided schools. David Bedein wrote an op-ed for Arutz Sheva claiming UNRWA sponsored programs were based on implementing the "Law of Return", even through violence. UNRWA's spokesman vehemently denied it. Arutz Sheva posted the debate at the end of the op-ed and got the two to talk, even about meeting for lunch to hammer things out. Then Bedein sent Arutz Sheva pictures which were posted as an article Thursday night. UNRWA then sent a scathing response (see below) on Friday and actually posted on their website that there was a retraction when what Arutz Sheva had said was that it was presenting the issue fairly, was waiting for corroboration from Bedein and then, if called for, would discuss management's position. Bedein came through (see below). "At last the lie has been exposed! We had all been led to believe that Bedein would produce evidence to show that UNRWA was using the Palestine Remembered website to teach Palestinian children in its summer schools. These “new” photos which Bedein/Arutz Sheva have posted on the front page and which have appeared in previous discredited Bedein productions show nothing of the sort. "The keys depicted are in areas over which UNRWA has no responsibility (ie outside UNRWA facilities) and the mural is from a PA school in the West Bank village, not an UNRWA school and not an area over which UNRWA has any control. "This is an old Bedein trick which he performed in his old film “For the Sake of the Nakba”; showing something in a PA school and claiming it to be an UNRWA school. These photos do not show any connection between Palestine Remembered and UNRA because there is no connection whatsoever. If there were any evidence at all of any connection, Bedein would have produced it. He has not. "Arutz Sheva did amend Bedein's words connecting plans for a the Fourth Reich with UNRWA, which was literary but not literal, to "Arab plans for a Fourth Reich". "But Bedein’s story still suggests that UNRWA’s “raison d’etre is involved with genocide against the Jews”. This staggeringly ignorant and politically motivated claim is still completely unsubstantiated. It would be interesting to look at definitions of genocide and genocidal practice in international law, laws based on the evil and suffering perpetrated by the Nazis against the Jews, and compare that with what is being alleged, though unproven, against UNRWA. "To say this belittles that suffering is an understatement. Bedein can run, but he cannot hide." There will be no retraction or apology, not from this reporter or site. Arutz Sheva certainly hasn't and doesn't have to, even though UNRWA has already announced to the world that a retraction has already been issued. The UNRWA summer camp program to indoctrinate UNRWA campers to act out the “right of return” to “their villages” takes place this summer and every summer on the grounds of UNRWA schools. We have it all on film. The UNRWA summer camp “right of return” experience is the subject of the next movie that our agency will produce and present next month, in Jerusalem, Washington and Ottawa. *UNRWA campers play games and enter sports competitions. Each team is named for villages they left 60 years ago. *UNRWA campers listen intently as their camp counselors instruct them to devote themselves to a a life long struggle to reclaim lands stolen from their grandparents in 1948. *UNRWA campers line up for an UNRWA Right of Return festival where UNRWA campers participate in a Right of Return Festival at Bethlehem University. 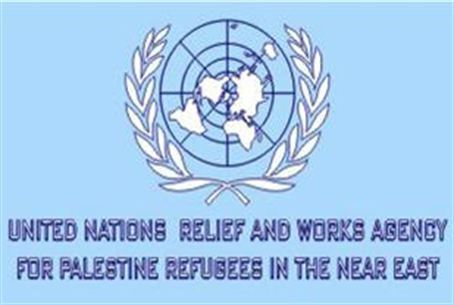 UNRWA's attempt to distance itself from the international Right of Return campaign, which produced www.PalestineRemembered.com, remains rather pathetic, considering how the founder and head of the ROR campaign, Dr. Salman Abu Sitta, credits UNRWA as the ultimate instrument of the right of return. "The perseverance of the Palestinians in their quest to return home is enhanced by the increasing world support and also by the work of UNRWA and its records. These records are the building block of the Return Plan…This simple card [illustrated in a slide] is the genome of the refugeehood (sic). It defines the refugee’s name, his family, the new families of his off-spring, his home in his village of origin and his camp of exile. The whole home-exile odyssey is imprinted in history. In terms of who teaches in the UNRWA schools, The UNRWA teachers’ union in the Gaza Strip – by far the largest union sector – has close to 7,000 members. For over 15 years, Hamas (via its affiliate Islamic Bloc) has dominated the UNRWA’ union. In 2006, the Hamas victory was decisive: for the first time: its candidates won all 11 seats, meaning that Hamas representatives then controlled the executive council of this union sector. In 2009, once again, Hamas-affiliated candidates won all 11 seats in the teachers’ union in Gaza, guaranteeing Hamas control of UNRWA schools in Gaza. In March 2011, Hamas leader Suhail al-Hindi was reelected as head of the teachers’ union of UNRWA in Gaza. So much for innocuous UNRWA education. (end of Bedein's retort). Arutz Sheva adds: We will keep you posted on the UNRWA-Bedein controversy.